iFeature is a fully-responsive, translation-ready, universal professional, free Magazine Style WordPress theme. With drag-drop options for visual elements on each page , this theme allows you to control the look and feel of every page. 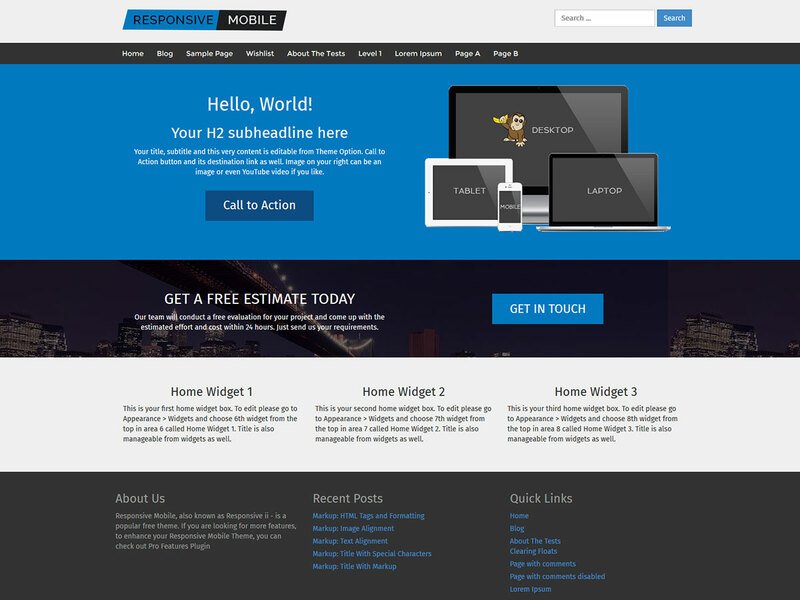 Make your website sharp and beautiful using our Retina optimized WordPress themes that look great on phones. Includes features like detailed theme options, 4 custom template options, 3 skin color options to choose from and much more that will help you build an impressive professional website. This theme is suitable for creating magazine websites as well as elegant and professional business websites for agencies, corporates, firms, etc. iFeature’s touch-friendly responsive drag-and-drop elements allow you to set up a professional website in minutes. 6000+ Active websites are using this theme. New features are added regularly. iFeature is an HTML Mobile-friendly responsive WordPress theme that looks perfect on any device like iPad, tablet, Desktop, iPhone etc. This Free Blogging WordPress theme comes with simple but powerful theme options for full CMS control. You can create professional websites that are 100% responsive. This WordPress Theme can be used for any blog, agency, services company, software website, technology firm or any other small business website.